I failed. I founded a startup, tried to reinvent an industry and win everything but ultimately lost everything. That is the essence of this article – if you are looking for the “Too long, didn’t read” section, you can stop reading now. I failed, end of the story, right? Maybe not. I could understand if you don’t want to read this article – the option of failure is not the most pleasant thing you may have to cope with in your startup journey. 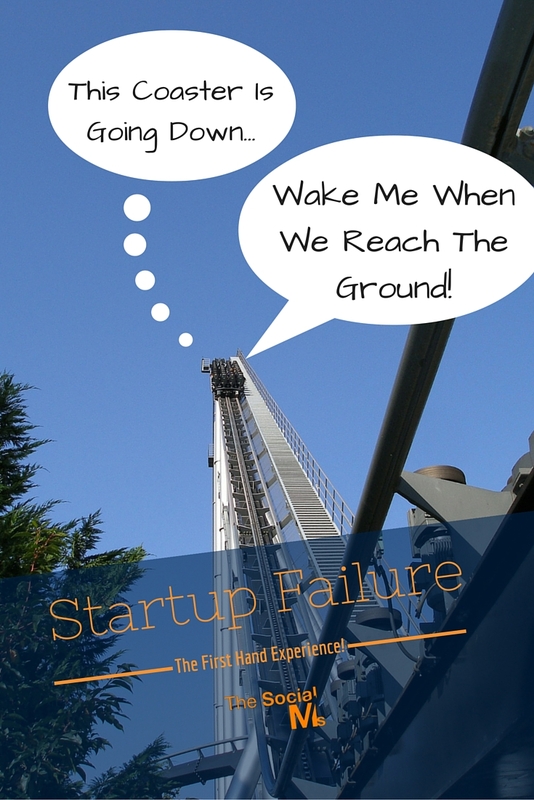 When you first get off the ground with your startup, the option of failure doesn’t exist. Your idea is great, the market is waiting just for you, and you are willing to work as hard as you can. So what could go wrong? Well, the truth is: A lot can go wrong and a lot will go wrong. If you never have to consider failure in your startup journey that doesn’t make you a real entrepreneur – it just proves you are good at winning lotteries. Luck – not skill – is what makes you successful then. I believe a lot can be learned from failures – failures by others as well as your own. And this article is for those who are willing to cope with the somewhat more unpleasant outlooks of the startup’s daily business – maybe even long before they present themselves to you. I live in Berlin, Germany’s capital and main startup hub. Over five years ago at the beginning of 2010 I founded a company called exploreB2B together with my sister Susanna. exploreB2B was a publishing site for business content – kind of like BuzzFeed but with meaningful content instead of cats and viral videos. We went all in with this. We built a prototype for the German market, somehow secured an investment, built a “final” version and went international with that. After figuring out how to market exploreB2B we were able to achieve some growth – at some point we were growing registrations and web traffic at a rate of 15% month to month. 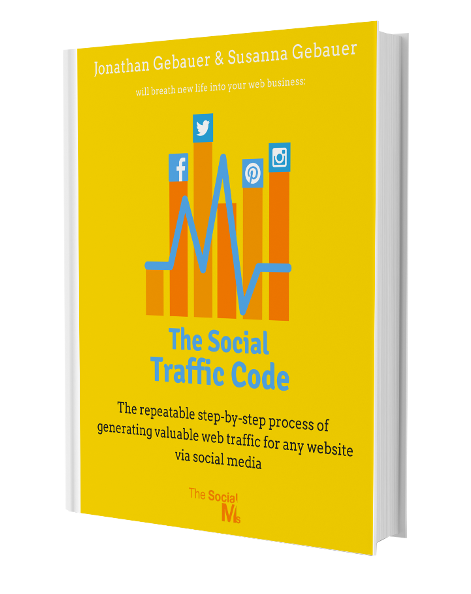 In the end, we had 80,000 registered users and at the peak we had 500,000 pageviews a month. Not too shabby – but maybe not good enough. We weren’t able to secure a Series A investment round, and monetization wasn’t moving fast enough. We weren’t able to keep our technology up with growth, we weren’t able to pay for needed upgrades to the servers, we weren’t even able to pay our team or even ourselves. We had to pay bank interest, as part of our first investment came as state funding from a state-controlled bank. The situation was dire and at the end of 2014 we had to accept defeat. We filed for bankruptcy. That was the end of exploreB2B. End of my story? Well, not quite. Who’s to blame for our failure? Let’s get one thing straight from the beginning: The only responsibility for this failure resides with us, Susanna and myself. When you are failing with your startup, you are failing as a leader, as a founder, as a CEO. It doesn’t matter whether anyone else made a mistake that cost you a fortune – you are responsible for that. That responsibility comes with the job. It doesn’t matter if an investor didn’t like the shape of your nose or whether a PR agency ripped you off, the blame, the risk, and the consequences for every wrong decision and every single step in the wrong direction lie with you. Bad luck included. I say this here because I don’t want to appear ungrateful or like I want to escape my responsibility – I don’t blame anyone but myself for my failure. But that doesn’t mean that I shouldn’t reflect on what went wrong. So, what went wrong? Why did I fail? That is the ultimate question, isn’t it. The truth is that there are many reasons why exploreB2B failed. So let’s make a list of the more obvious reasons. I told you we started with a prototype just for the German market. That was our first downfall. exploreB2B was essentially a content marketing platform and businesses in Germany are not so eager for this marketing strategy. Not even today – but back in 2010, anything that had to do with marketing online and social media was regarded as “not real”. Back in 2010 many people here in Germany were still convinced that “the internet will disappear within 5 years”. Starting with a local market segment is often seen as a good first step – and it often is. But when you are starting something that addresses an international market, then you shouldn’t begin with a market segment that doesn’t want your product. Or a segment that speaks a different language than your primary market (in this case German…). We fixed this mistake as good as we could when we went international. Face it – the real wisdom here is: start with an accessible segment of the market, it doesn’t always have to be local. Or, if it needs to be, you have to move, so it becomes more local to you. Start with an accessible segment of the market, it doesn’t always have to be local. VCs in Germany weren’t exactly eager to invest in us. There are a few reasons why: First-time founders, unknown market, too early stage, … I’m sure many of you have heard the same things that I heard back in 2010/2011. Because the German-speaking market is relatively small, it takes a while until US startups come here to access it themselves. The time gap is big enough for German entrepreneurs to wait whether an idea is successful and start their own (German) version after it is validated. Once it is, they have all they need – data on marketing, business development strategies, … basically, they know how to be successful and only need to execute. For investors, this is a much easier investment strategy than investing into something more original. And since Germany doesn’t have an unlimited resource of money for startups, that is where a lot of the money goes. The situation was even worse back in 2010 than it is now. Looking for an investment in that climate is very frustrating. But there are alternatives to VC investments. State programs that invest in innovative startups. And we went for that. Here is the problem with that: The particular program that we got came in the form of a bank loan. It had good conditions – yet it was a loan. And loans mean paying back at some point and paying bank interest all the time. That’s where the catch is – if you are looking at a disruptive company there is a chance that more than one investment round is needed. That bank loan then hangs over your head. Look at it from the perspective of an investor or VC: Company gets pitched, looks good but maybe not great. But there is a bank loan the company has to pay back and interest the company has to pay. Where will your money go? Product development? Marketing? Or paying debts? Would you invest? We were in exactly that situation. I don’t know if we would have gotten a better deal – but this one got us into trouble. Here is what I knew about marketing back in 2010: Nothing. Same goes for Susanna, my sister, and partner in crime. That isn’t so out of the ordinary for startups. In fact, it is pretty common. Developers found startups all the time, right? It will all sort itself out in time, right? We’ll get an investment and then hire someone. PR is more important in the beginning anyway, right? Wrong. We went that route and hired someone. Someone we thought would have the expertise to market a startup. We had to fire that person after just 2 weeks. Turns out that marketing a startup is not an easy task – marketing something that hasn’t been done before is hard. We were able to kind of fix that mistake quite well – we went from hiring “pros” to hiring beginners and learning together with them. And interestingly what started out as our weakest link turned out to be our strongest skill. Maybe a bit too late and things would have been a lot easier if we had worked out our marketing strategy earlier in our journey, but nevertheless we were able to grow. In the end, maybe even preventing a single one of these mistakes could have saved exploreB2B. But probably we would have just replaced one mistake with another – and then the result would have been the same. Depending on where you live and where you take part in social life, failure as an entrepreneur is either seen as a stain on your reputation or as a proof of your willingness to try and start something new. I’m either unfortunate enough to be German, where the former of the two options is still very common or fortunate enough to be a German, who has enough foreigners in his life to also hear the latter approach voiced. When you are at a low point in your life – you don’t need people around you who convince you to arrange yourself with that position. But in many startup communities and many areas of the world that line of thought is still very present. But this is just a psychological side effect of failure – there are others as well. I’ve got debts to pay off – and readjusting your life within an entrepreneurship context takes time. Sometimes I don’t know how to pay the rent. No matter how dire the situation is, life goes on, and you will get your chance to get yourself out of the mess that you are in. Will I start another company? Maybe. But that is not the point. The point is that the road that took you to this place isn’t just a failure – it only ended in one. Think about all the problems you solved. This is the knowledge that I will use in the future. This is the experience that makes me who I am today. If I could start again, start the same company again, make the same experiences again, would I do it? I wouldn’t miss it for the world. But this time I would succeed. Next time I will succeed. It’s me against the odds again. I will win.